National Youth Administration trainee being trained to use a lathe in preparation for a job in industry, April 1943. There are many youth organizations that contributed significantly to the history of American social welfare; however, only a few are listed here at this time. It is planned to add more as the opportunity arises. 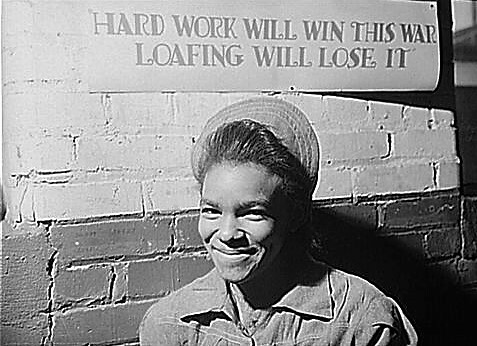 American Youth CongressThe student movements of the Depression era were arguably the most significant mobilizations of youth-based political activity in American history prior to the late 1960s. In 1934 the American Youth Congress (AYC) came together as the national federation and lobbying arm of the movement as a whole. Big Brother and Big Sister FederationEarly in the twentieth century, men in both Cincinnati, OH and New York City began to serve as so-called volunteer big brothers, or friends and advisers to fatherless boys. Big Brothers Big Sisters of AmericaWith more than 360 affiliates throughout the nation, Big Brothers Big Sisters’ mission is to provide children facing adversity with strong and enduring professionally supported one-to-one mentoring relationships that change the lives of the youth for the better, forever. Boys & Girls ClubsThis entry is about the history and contributions of Boys & Girls Clubs of America. Child Welfare League History 1919-1977The Child Welfare League of America (CWLA) grew out of child welfare advocates’ demands for better communication and regulation among agencies and institutions serving children. Committee On Youth Councils Of The Welfare Council Of New York City: A Report -- 1949As a result of the growing conviction about the necessity for active participation by youth in their own and community affairs, the Welfare Council of New York and the Civilian Defense Volunteer Office included two hundred young people as participants in the Youth Conference sponsored by those organizations and held at City Hall on January 13, 1945. Recreation Movement in the United StatesThe first playground in the United States to offer recreational opportunity coupled with leadership was in 1885 when a large sandpile was placed in the yards of the Children’s Mission on Parmenter Street in Boston through the efforts of the Massachusetts Emergency and Hygiene Association. Third Street Music School SettlementFounded in 1894, Third Street has helped to establish community arts education in the United States. The School traces its roots to the late 19th century settlement house movement. It was the unique inspiration of Third Street founder Emilie Wagner to make high quality music instruction the centerpiece of a community settlement house that would also provide social services to the immigrant population of the Lower East Side. Virginia Industrial School for Colored GirlsThe residents of the Industrial School were, for the most part, delinquent or dependent colored girls sentenced to prison by local judges and then paroled to the school. There were no foster homes for colored girls who needed care and jail or prison was the only alternative. It is reported that several of the girls were “feeble minded” and a few arrived with contagious diseases...the goal of the school was to teach self-direction and character building with the expectation that... a girl could be “paroled” to a private family in the Richmond area and work for normal wages. Young Mens Christian AssociationThe YMCA idea, which began among evangelicals, was unusual because it crossed the rigid lines that separated all the different churches and social classes in England in those days. This openness was a trait that would lead eventually to including in YMCA's all men, women and children, regardless of race, religion or nationality. Also, its target of meeting social need in the community was dear from the start. Young Womens Christian Association Throughout its history, the YWCA has been in the forefront of most major movements in the United States as a pioneer in race relations, labor union representation, and the empowerment of women. Youth Finds Its Own Answers: 1939The student movements of the Great Depression era were arguably the most significant mobilizations of youth-based political activity in American history prior to the late 1960s. As time passed, many local youth organizations became more organized in their pursuit of progressive government, and in 1934 the American Youth Congress (AYC) came together as the national federation and lobbying arm of the movement as a whole.